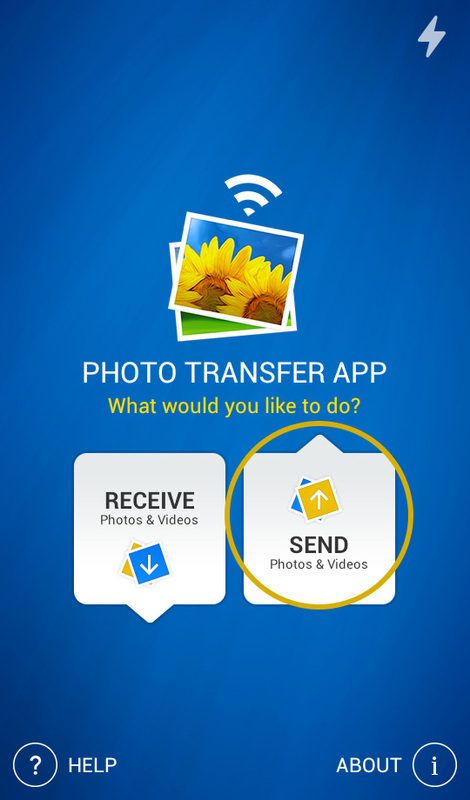 Note: To transfer photos between two devices both of them must have this application installed and running. 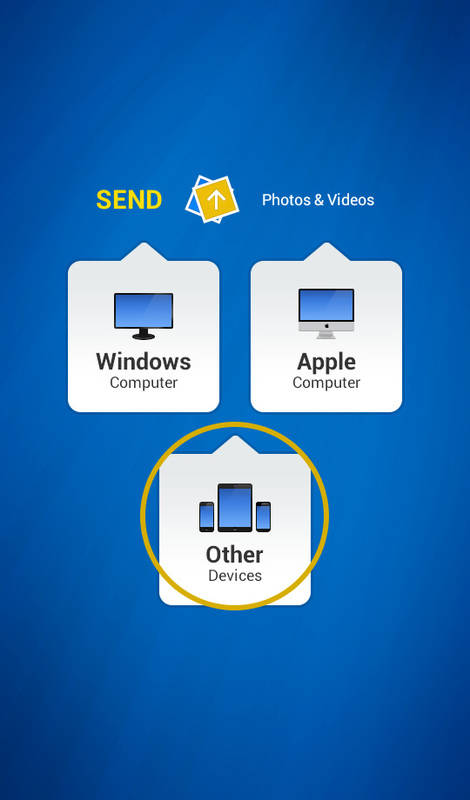 1 Open 'Photo Transfer' app and touch the "SEND" button. 2 Tap on the "OTHER Devices" button. 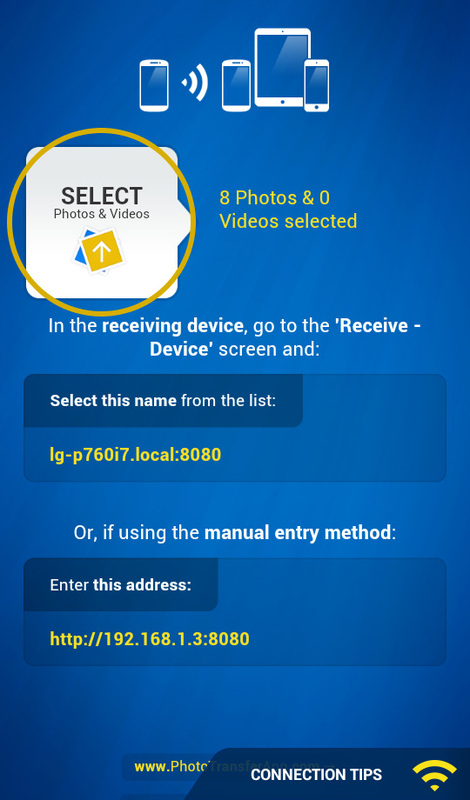 2 Select device you want get photos from. 3 Tap "GET Photos" button to start transfer. Done! 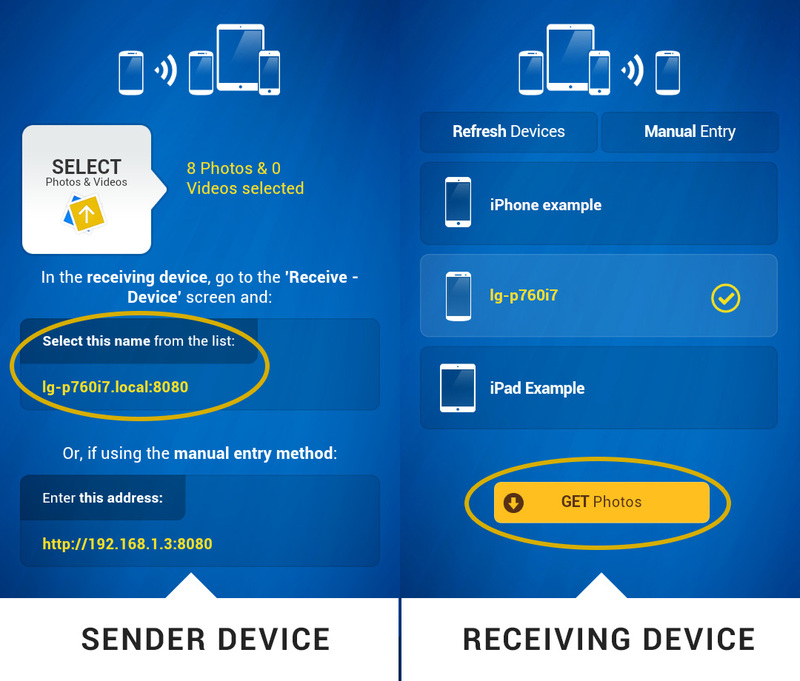 To view the photos or videos you transferred, open the 'Photos' app on the receiving device.